I love Fentiman's so when I was shopping online on Sainsbury's and saw a new version of the tonic I added a couple to my basket - but they were much more expensive than I expected. Turns out these were a premixed alcoholic drink with Bloom Gin - so I took one out and figured I'd give one a shot. 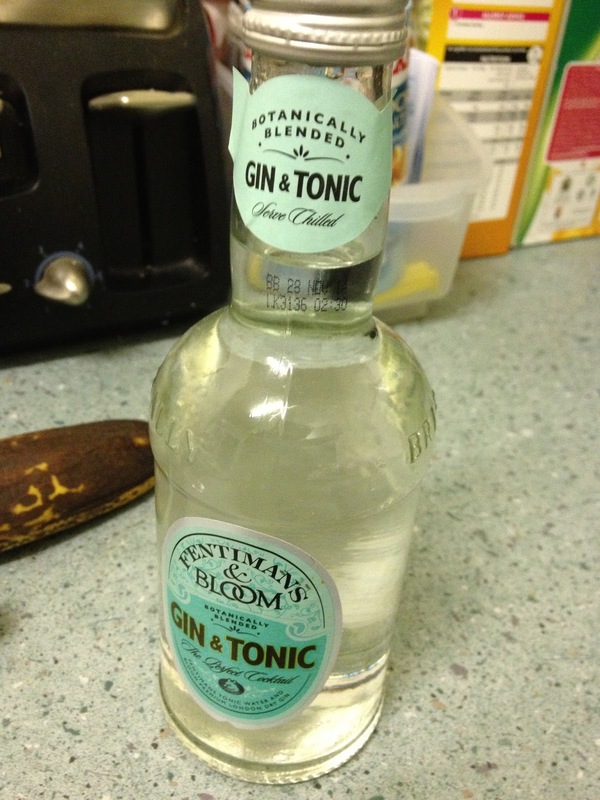 The Fentiman's Tonic that I reviewed before was nice, but more of an & Tonic, than a just tonic by itself. Here was a perfect opportunity to try it with their suggested gin. I had it with ice with a meal (that turned out to be spicier than we'd intended!) and drank it slowly over the evening. The alcohol content was stringer than I'd expected - this was more like 2 gin & tonics in a bottle than one larger but weaker one as I'd expected. The flavours intermingled quite nicely and the deep gin took the edge off the tonic. As I noted before this was designed to sit neatly with gin and not to explode the senses like the Fever Tree tonic does so it was a nicely refined experience. I'm not enough of a gin drinker to know about the flavours of that part, but it was certainly nice and something I could not only drink again but could see myself taking to a party or similar. Fentiman's have branched out into the alcoholic drinks over the years and I think this has largely worked. I can see this being something that people would ask for by name as it's a distinctive taste and one you can guarantee has two quality ingredients (unlike my university fail of mixing expensive vodka with No Frills cola... yuk!). 45 years after Neil Armstrong set foot on the moon, finally somebody has done this!